1-32 channel digital “DVR” systems. These systems can easily replace the Older “VHS” tape recorders. 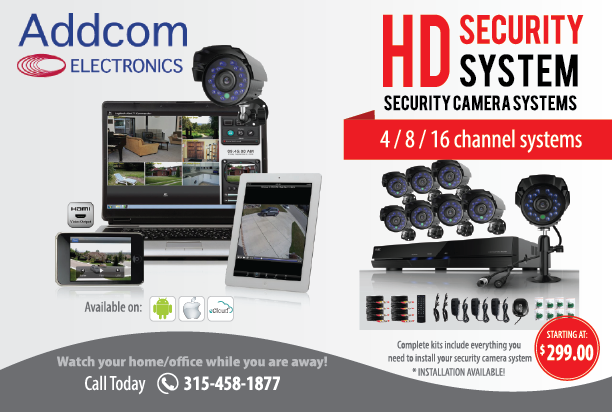 Full line of cameras, including “covert” style, indoor and outdoor weather proof cameras, color and black & white. Remote access to cameras via Internet. School bus video systems that can record hours of video WITHOUT Using a hardrive!